Wind River is expanding their collaboration for connected, ADAS, and autonomous driving programs, including plans to pre-validate the company’s software with the latest Renesas R-Car SoCs. Software from their automotive portfolio is currently offered on reference hardware for several existing Renesas SoCs. 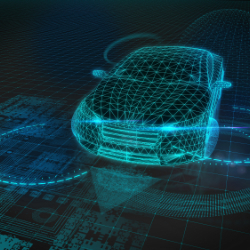 These incorporate those for high-end, next-generation systems targeting vision and image processing applications relevant for autonomous driving, safety support systems, and also SoCs targeting in-vehicle infotainment.